I hate the word "DIET"
It makes me feel restricted and trapped. Anytime I have tried to "diet" in the past I have failed, which made me feel like a failure. and I kill it in the gym 5-6 days a week. However, I have mentioned many times on my little corner of the Internet that I have struggled to find balance since moving to Virginia. 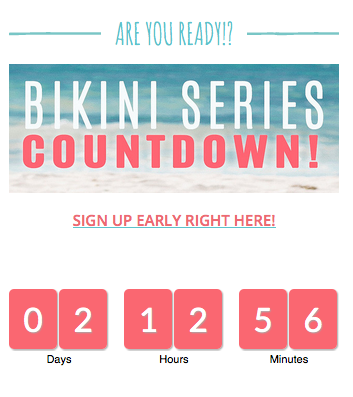 The Tone It Up Bikini Series kicks off on Monday and I have been a long time TIU Girl but I have never fully participated in any of their challenges/series because I didn't want to have to feel like I was on a "diet." What's great about the Tone It Up plan is they focus on an all around healthy lifestyle and eating clean, whole foods VS crash dieting. This year I am committing myself to the 8 week series and the main reason behind this decision is I have no reason not to. Karena and Katrina aka the Tone It Up girls have provided the members with not only an updated meal plan but they have provided us with 8 weeks of daily meals for us to follow. This morning I printed out the "Seaside Staples" which is a list of everything I need to have on hand at all times for the next 8 weeks and the "Catch of the Week" checklist which is the all of the food I need for Week 1. 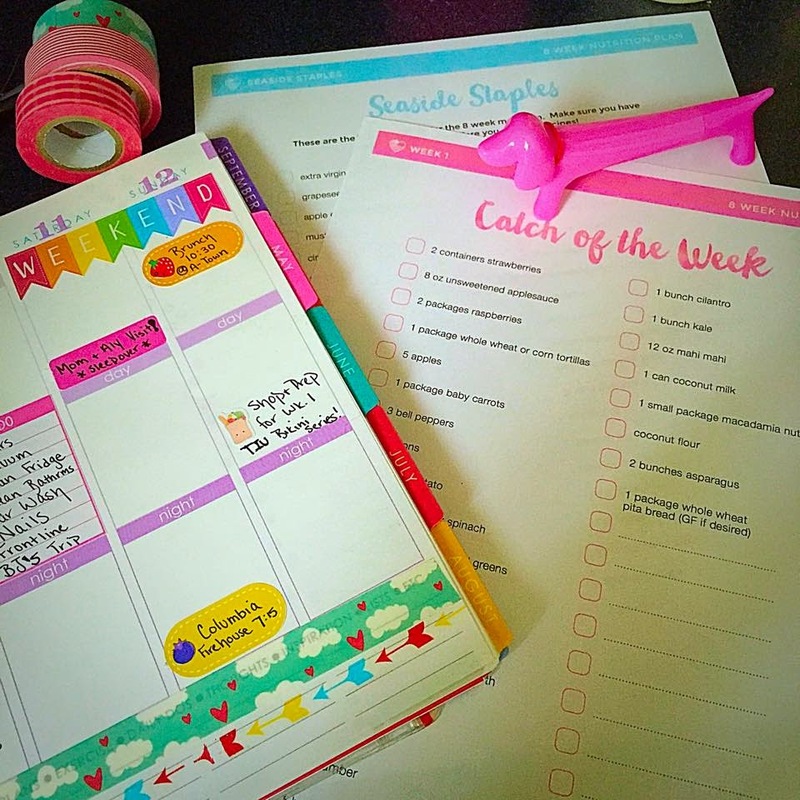 I will be tracking all of my food + workouts in my Erin Condren life planner and if you want I will share a weekly round up here on the blog. This Sunday I plan on taking before pictures (kill me now) to help keep me motivated and as of now I plan to share them alongside my "after" at the end of the 8 weeks. For my workouts I plan to stick with my gym classes and add in the workouts the TIU girls provide us with as my AM workouts or days I'm too lazy to drive to the gym. The Bikini Series is FREE to everyone, but the meal plan is a one time fee of $150 and you're given new updates every few months. If you're doing the Bikini Series let me know in the comments below, I'd love to follow you on Instagram and cheer each other on! I'm also doing the bikini series! In fact, I'm pretty sure I started following your blog/Vlog because of Tone It Up! :) I'm excited for the series this time. I'm determined to stick to it as much as possible! I'm doing it! Well, I think I'm doing it. I need to find myself again with the whole nutrition thing. I gained 30 pounds when my husband came home from Iraq 2.5 years ago and I still haven't lost it. :( ugh. @juicypeachinprogress on instagram.